Cremilda de Oliveira (6 November 1887 - 23 June 1979) was a Portuguese actress. Her filmography includes: A Viúva Alegre (1909); Es peligroso asomarse al exterior (1946); O Leão da Estrela (1947); O Grande Elias (1950); A Garça e a Serpente (1952); and O Comissário de Polícia (1953). Portugal, officially the Portuguese Republic, is a country located mostly on the Iberian Peninsula in southwestern Europe. It is the westernmost sovereign state of mainland Europe. It is bordered to the west and south by the Atlantic Ocean and to the north and east by Spain. Its territory also includes the Atlantic archipelagos of the Azores and Madeira, both autonomous regions with their own regional governments. A filmography is a list of films related by some criteria. For example, an actor's career filmography is the list of films he or she has appeared in; a director's comedy filmography is the list of comedy films directed by a particular director. The term, which has been in use since at least 1957, is modeled on and analogous to "bibliography", a list of books. As lists filmographies are distinct from the cinematic arts of "videography" and "cinematography" which refer to the processes themselves, and which are analogous to photography instead. This article about a Portuguese actor or actress is a stub. You can help Wikipedia by expanding it. Portuguese is a Western Romance language originating in the Iberian Peninsula. It is the sole official language of Portugal, Brazil, Cape Verde, Guinea-Bissau, Mozambique, Angola, and São Tomé and Príncipe. It also has co-official language status in East Timor, Equatorial Guinea and Macau in China. As the result of expansion during colonial times, a cultural presence of Portuguese and Portuguese creole speakers are also found in Goa, Daman and Diu in India; in Batticaloa on the east coast of Sri Lanka; in the Indonesian island of Flores; in the Malacca state of Malaysia; and the ABC islands in the Caribbean where Papiamento is spoken, while Cape Verdean Creole is the most widely spoken Portuguese-based Creole. Reintegrationists maintain that Galician is not a separate language, but a dialect of Portuguese. 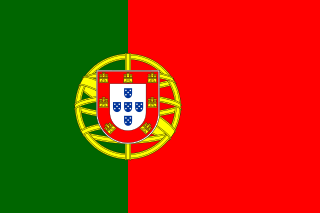 A Portuguese-speaking person or nation is referred to as "Lusophone" (Lusófono). 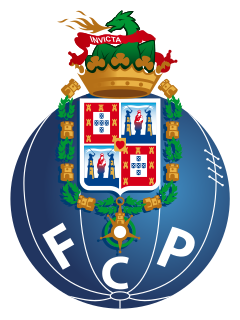 Futebol Clube do Porto, MHIH, OM, commonly known as FC Porto or simply Porto, is a Portuguese sports club based in Porto. It is best known for the professional football team playing in the Primeira Liga, the top flight of Portuguese football. The title chief of staff identifies the leader of a complex organization, institution, or body of persons and it also may identify a principal staff officer (PSO), who is the coordinator of the supporting staff or a primary aide-de-camp to an important individual, such as a president, or a senior military officer, or leader of a large organization. Sport Lisboa e Benfica ComC MHIH OM, commonly known as Benfica, is a sports club based in Lisbon, Portugal. It is best known for the professional football team playing in the Primeira Liga, the top flight of the Portuguese football league system, where they are the most successful club in terms of titles won. Sporting Clube de Portugal ComC MHIH OM, or Sporting CP, is a sports club based in Lisbon, Portugal, that is best known for its football team. The club is usually referred to simply as Sporting in Portuguese-speaking countries, and it is often called Sporting Lisbon in other countries. Sporting Clube da Covilhã, commonly known as just Sporting da Covilhã, is Portuguese football club from the city of Covilhã that plays in the second-tier LigaPro. The club was founded in 1923. Their nickname is the Leões da Serra, meaning "Lions of the Mountain Range," due to Covilhã's location in the Serra de Estrela, the highest mountains in Portugal. In 2007–08, they finished first in the Portuguese Second Division Serie C, out-scoring teams and exceeding expectations and also, in remarkable fashion, finishing first in the playoffs and beating historic club GD Chaves. Their home ground is Estádio Municipal José dos Santos Pinto, located at approximately 900 m of altitude. However, SCC play sometimes at a more recent Complexo Desportivo da Covilhã in Covilhã, which holds a capacity of 3,000 spectators. Their current chairman is José Oliveira Mendes and current manager is Fernando Chaló. They have won five Second Division in 1948, 1958, 1987 (second-tier), 2002, and 2005 (third-tier). The club is now in their sixth consecutive presence in the second tier. Girabola, or Campeonato Nacional de Futebol em Séniores Masculinos, is the top division of Angolan football. It is organized by the Angolan Football Federation. Nuno Herlander Simões Espírito Santo, known simply as Nuno as a player, is a Portuguese former footballer who played as a goalkeeper, and is the head coach of Premier League club Wolverhampton Wanderers. 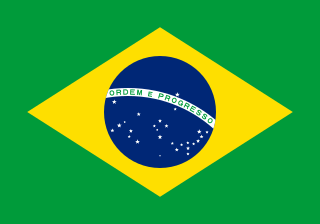 Portuguese is the official language of Brazil, and is widely spoken by most of population. Brazilian Sign Language is also an official language. Minority languages include indigenous languages and languages of more recent European and Asian immigrants. The population speaks or signs approximately 210 languages, of which 180 are indigenous. Fewer than forty thousand people actually speak any one of the indigenous languages in the Brazilian territory. The 2006–07 Primeira Liga was the 73rd edition of top flight of Portuguese football. It started on 27 August 2006 with a match between Vitória de Setúbal and Académica de Coimbra and ended on 20 May 2007. The league was contested by 16 clubs with Porto as defending champions. São João Evangelista is a municipality in the state of Minas Gerais in the Southeast region of Brazil. The 2015–16 Primeira Liga was the 82nd season of the Primeira Liga, the top professional league for Portuguese association football clubs. The fixtures were determined by draw on 4 July 2015. The season began on 14 August 2015 and concluded on 15 May 2016. Totalmente Demais is a Brazilian telenovela produced and broadcast by Rede Globo. It premiered on 9 November 2015 at the 7 pm timeslot, replacing I Love Paraisópolis and ended on 30 May 2016 hence, followed by Haja Coração. The 2016–17 Primeira Liga was the 83rd season of the Primeira Liga, the top Portuguese professional league for association football clubs. The 2017–18 Primeira Liga was the 84th season of the Primeira Liga, the top professional league for Portuguese association football clubs. Benfica were the defending champions for a fourth consecutive time, but they did not retain the title. Porto became the new champions with two matches to spare, clinching their 28th league title. This was their first trophy in four years. The 2018 Campeonato Brasileiro Série A was the 62nd season of the Campeonato Brasileiro Série A, the top level of professional football in Brazil, and the 15th edition in a double round-robin since its establishment in 2003. The season began on 14 April 2018 and ended on 2 December 2018. The top six teams as well as the 2018 Copa do Brasil champions qualified to the Copa Libertadores. The next six best-placed teams not qualified for Copa Libertadores qualified for the Copa Sudamericana and the last four were relegated to Série B in 2019. Corinthians were the defending champions. Deus Salve o Rei is a Brazilian telenovela produced and broadcast by Rede Globo. It premiered on 9 January 2018, replacing Pega Pega, and ended on 30 July 2018. Created by Daniel Adjafre, it has artistic direction by Fabrício Mamberti. The 2018–19 Primeira Liga is the 85th season of the Primeira Liga, the top professional league for Portuguese association football clubs. Porto are the defending champions.